Frederick Muller, 1953, Hardback in Dust Wrapper. From the cover: “At the Royal Air Force Station at Cranwell in Lincolnshire on the evening of the I5th May, 1941, an aeroplane of unusual type was seen to taxi to the eastern end of the runway and then, after a run of 600 yards, to rise gracefully into the air for a flight of seventeen minutes. To the distant observers one very strange thing about this beautiful little aeroplane was that it had a very short undercarriage, but an even stranger thing was that it had no propeller. The aeroplane was the Gloster/Whittle E. 28/39 — the world’s first successful jet aeroplane — making its first flight. This book is primarily the story behind that historic event. 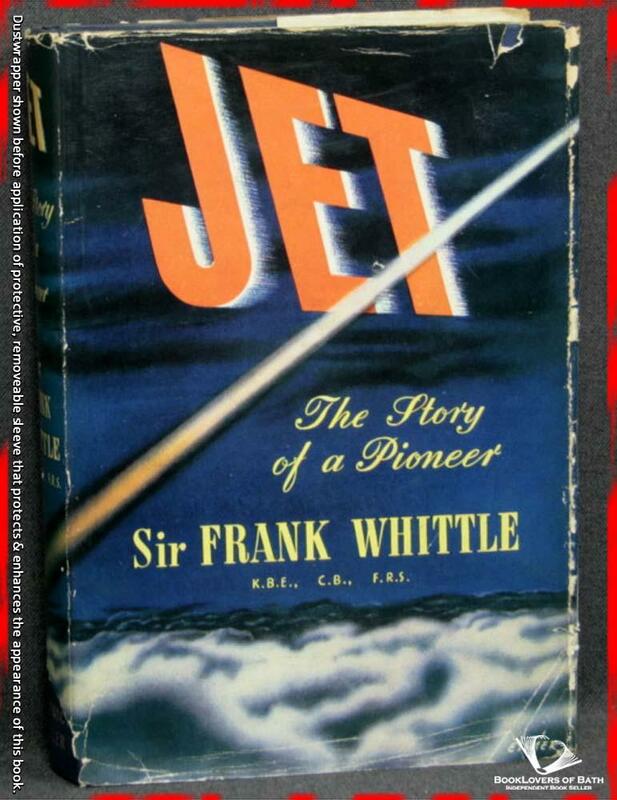 Frank Whittle, who eleven years earlier, at the age of 22, had applied for his patent for a turbo-jet engine, here sets on record with characteristic modesty his own courageous pioneer work and that of the small company, Power Jets Ltd. , which he helped to form in March 1936 to develop the engine. The dreams of his boyhood and the plans of his youth were brought to fruition in an invention that not only revolutionised military aircraft but set Britain ahead of the world in Civil Aviation, bringing the inventor a knighthood and an award of £100,000 at the age of only forty-one. Size: 8¾" x 5¾". Blue boards with Gilt titling to the Spine. 320 pages.